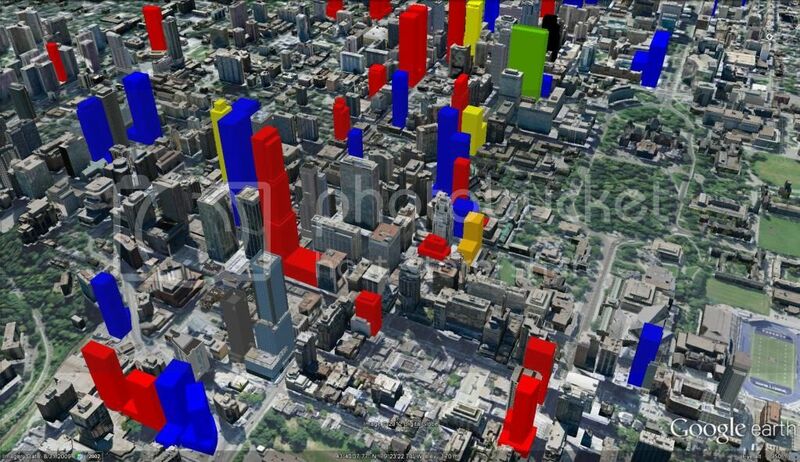 What Toronto’s skyline will look like in 2020? 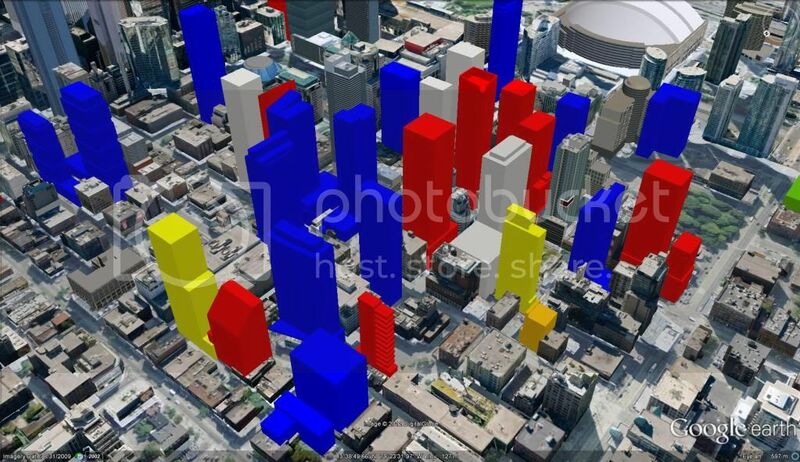 Found this awesome and very interesting post of what the Toronto skyline will look like in 2020. We are definitely seeing intensification in Toronto! A lot of people compare Toronto to New York City and I can see the similarities. What do you think? This is from a forum post by innsertnamehere (yes, that’s the username). You can see more photos there. All credits to this user! WHITE = the project has had preliminary renders, but no application has been submitted.